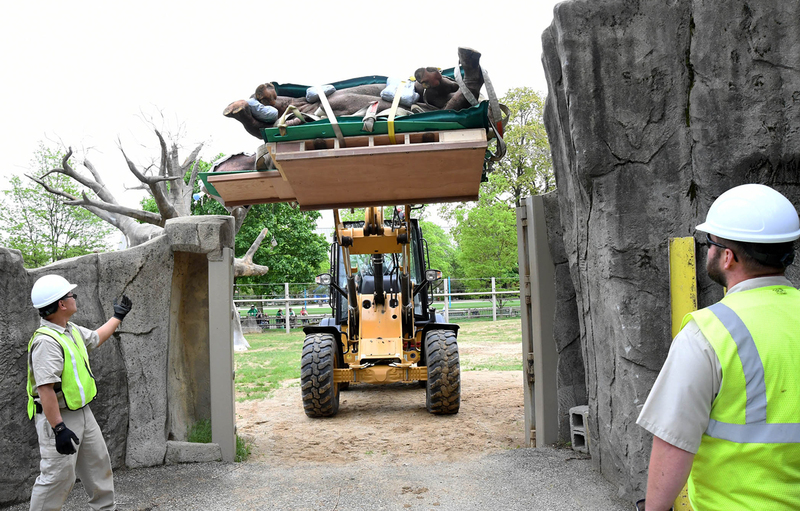 Layla, a 7½-year-old eastern black rhinoceros at Brookfield Zoo underwent a second CT scan (computed tomography), a week after she received a lifesaving surgery performed by a dedicated team of Chicago Zoological Society veterinarians and veterinary specialists. 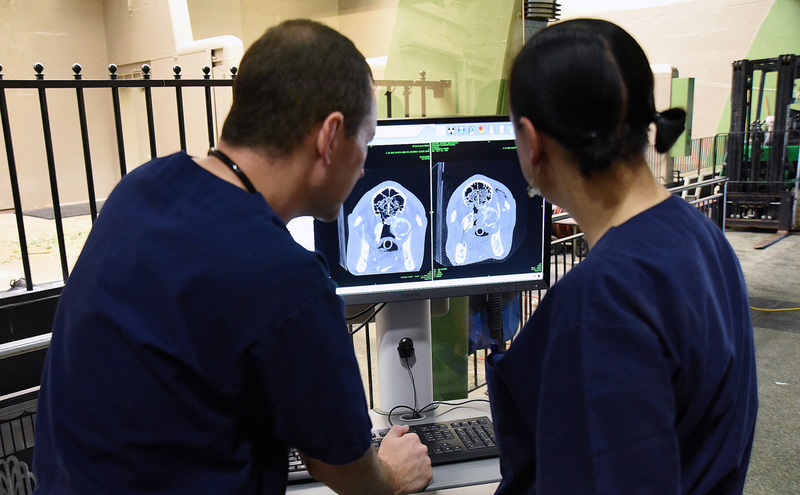 The scan was done on a BodyTom®, the world’s first battery-powered portable CT. NeuroLogica, a subsidiary of Samsung Electronics, once again generously donated the use of the machine, which was operated by a physicist from Sound Technologies. 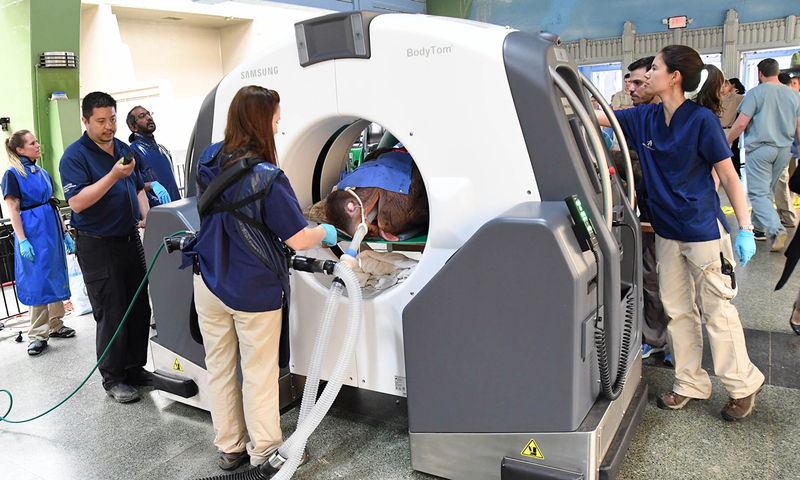 Images taken today defined the extent of the remaining infection in her nasal passageway allowing veterinarians to proceed with another surgery, which took place immediately following the CT scan.